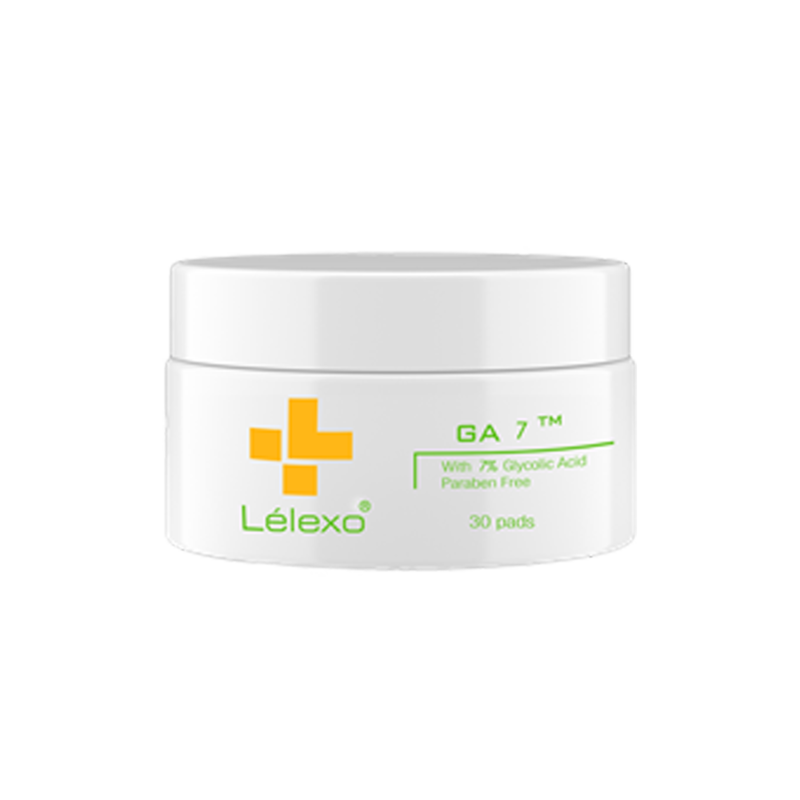 The lightest of the Lélexo AHA peel series with a combination of 7% glycolic acid and a uniquely textured pad to treat acne, hyperpigmentation and rejuvenate the skin. The pad is designed to exfoliate and allow the glycolic acid to further penetrate into the skin for a light revitalizing peel. Directions: Apply GA 7™ pads over desired area. Leave on up to 2 minutes then rinse thoroughly with water.